Christmas is once again upon us and for many businesses, this short period of the year will generate the overwhelming bulk of their revenue. Already the retail sales for the coming month are forecasted to be more than the over $25 billion in sales we saw last year. The holiday season is an ideal time for you to kick into gear and step up your marketing campaigns. Christmas sales are about more than just having a great ad. Getting your brand into the minds of your customers is crucial for driving sales in the coming weeks. However, this doesn’t necessarily mean spending on consecutive full-page adverts in national newspapers or billboards. In fact, this is a common mistake most businesses make. Instead of spending big in an attempt to outdo your competitor’s `over-the-top’ marketing campaigns, there are simpler marketing strategies with a higher ROI that you could use instead. 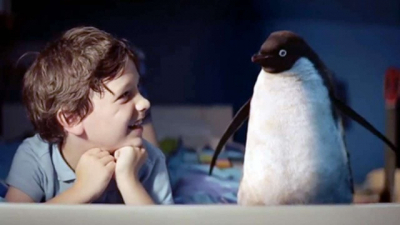 Sure, great Christmas ads like John Lewis’s ‘Monty the penguin’ are bona fide sales machines, but in 2017 and going into 2018, you will need to take a more integrated approach to drive sales. SMS is a perfect failsafe option for businesses and the reality is that it gets the job done. Targeting customers directly with text messages will enable you to effectively capitalize on the vastly increased holiday season spending and get you on the right track for a successful new year. The channel boasts a whopping 98% open rate with 90% of messages opened within three minutes. Stacked up against email marketing, research shows that SMS marketing can be as high as eight times more effective at engaging customers. Your Christmas specials will be communicated faster and more effectively meaning you are one step ahead of competitors using costly strategies such as newspaper advertisements and other traditional media. So, if you thought SMS was just for retailers to send reminders and quick confirmation notifications, then you might need to think again. Here are a few ways retailers can effectively use SMS messaging during the holiday season. Discounts are a powerful driver for customers. If you’re reluctant to discount stock for an extended period over Christmas why not consider a Christmas flash sale where you discount selected products for a happy-hour? Ensure your website is looking good and has a great Christmas catalogue so that the traffic you drive to your website through mass SMS messaging results in sales and compensates for the flash-discount you’ve offered on some products. This is a great way to connect with your customers in a way that adds value to their day and it’s a great way to promote your products over Christmas. Gain new opt-ins and build your marketing database by running a Christmas hamper competition. Promote competition on your ecommerce site and social pages and instruct people to opt-in to your SMS list to win. 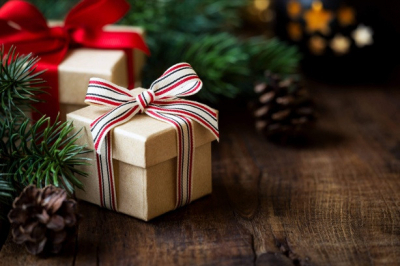 Ensure the prize is compelling to gain thousands of new contacts over the Christmas period. You can then use this list to market your products to following the competition. This could include last-minute-deals, new Christmas stock and Boxing Day sales. The initiative will not only drive sales over the holiday period, but will also give you a database that will help grow your business in 2018! Turn the tables this Christmas and offer your customers a Christmas present, which will also in turn drive traffic to your website. Encourage your SMS contact list to vote for a Christmas ‘special’ they would most like to receive from your business these holidays. This could be 30% off an item they are longing for, or a buy-one get-one-free. Direct customers through bulk SMS messaging to a special landing page on your e-commerce site filled with possible Christmas specials you would be willing to offer and get them to vote via your website or through 2-way-SMS. This will not only drive traffic to your site but will also offer valuable insights about your customer's buying behaviour. The final days before Christmas are an opportune time to market to last-minute shoppers. Make your store the shopping destination for this market by using SMS call-to-actions such as “24-hour last-minute sale”, “last chance delivery”, “extended hours for one day only”. Create a sense of urgency and ensure your product/store is on the radar for frantic last-minute- shoppers. Send your customers an SMS coupon for a free gift with purchase either online or in-store. If you’re a small/local retailer, this could be a coupon for a free coffee from your local coffee store. Or if you’re a larger retailer, you could look at partnering with a chain store. This is an excellent way to build up your database for future SMS marketing. As with our other database building ideas, you can then market to this list with special Christmas promotions, products, offers, and sales post-Christmas. Design an animated SMS gift card for customers to send to friends and family on Christmas Day. This is ideal for customers who have not had a chance to shop but still want to let loved ones know they are thinking of them. Send this out as a last-minute offer on Christmas Eve. During the holiday shopping season there’s an abundance of print ads, flyers, mail drops. Today’s shoppers however, are looking online for discounts, promotions and coupons. Instead of having shoppers looking online for you, send Christmas coupons to them via SMS with an online SMS service! This way, shoppers have digital coupons that they can keep safe on their ever-present smartphone, making them much more likely to redeem them. In fact, a recent study by Restaurant Report shows mobile coupons see a 1000% higher buy rate than print coupons. SMS open hours – Christmas can be a confusing time for customers with open hours often varying from store-to-store. SMS your Christmas hours to customers to keep them engaged and informed. Christmas catalogues –Build product awareness by sending customers a link via SMS to your beautifully designed Christmas catalogue page. Christmas offers/promotions and sales – Customers love hearing about Christmas offers and promotions. Be sure to share them all via the most direct and effective communications channel – SMS. For more ideas on how your business can benefit from SMS this holiday period, contact our customer success team on 1300 883 400.